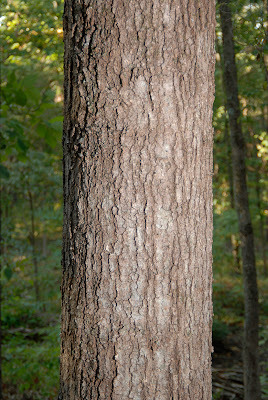 Blackjack oaks are members of the red oak family. 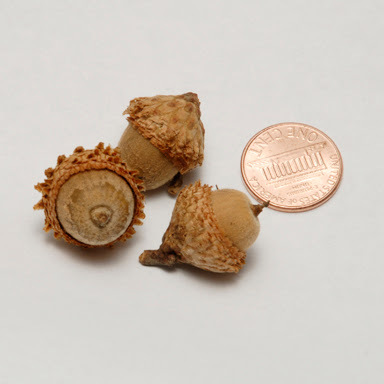 During 2007 preseason scouting, I've found numerous trees with good acorn production. 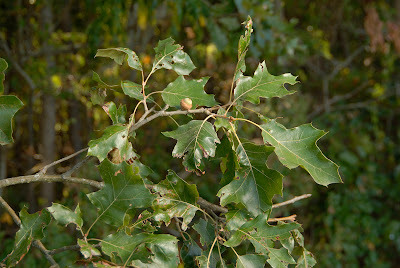 Blackjack oaks are found in central Texas, Oklahoma, and Missouri and east to the Atlantic Ocean. They grow in upland areas with dry sandy soil, often among other oaks and pines. Dark, rough, deeply furrowed into squarish blocks. Narrow at base, broadening toward the tip. 5/8 to 3/4 inches long with brown loosely overlapping scales. Next post: the Chinkapin Oak.